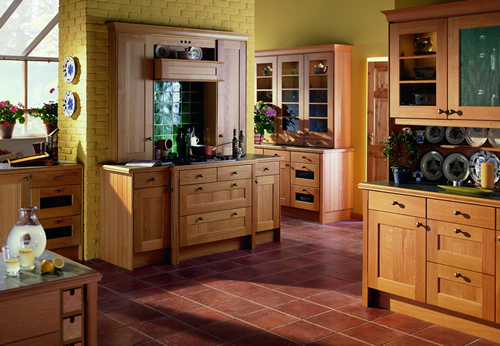 At Falcon Pine, although our business names suggests we only undertake pine items.......we have over the years made and fitted many oak kitchens. 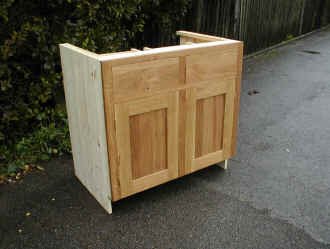 The exterior is of solid oak, not oak faced chipboard etc. 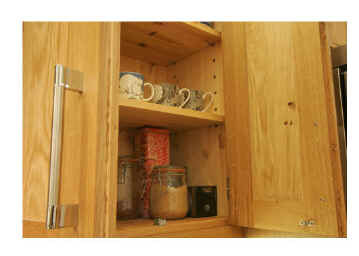 With the interior cupboard units being made from solid pine. 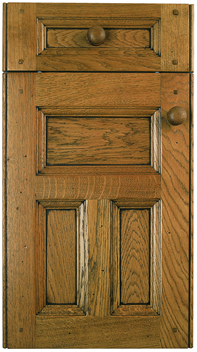 With oak being much harder to work with, it is therefore more expensive but our prices are still very affordable and we can make from many different styles and stain to any shade you require. 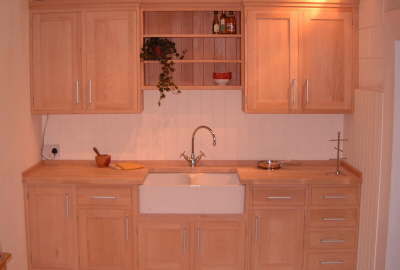 Regarding the actual details of of how to order please refer to our other kitchen pages as essentially the making and fitting of a kitchen is the same regardless of the material used. 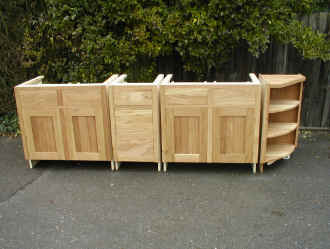 We are in the process of making new kitchen displays in oak for our showrooms, which customers are welcome to view to see the quality of our work. 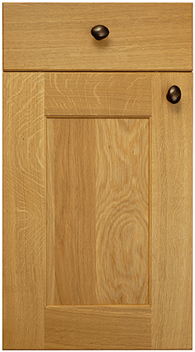 In addition to our oak kitchens we can also supply a range of oak furniture, solid oak flooring which we supply and fit as well as oak plank doors. 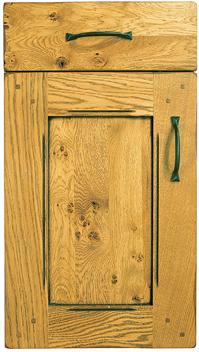 The fact we are known as Falcon Pine does cause confusion at times, but for many years we have been supplying many oak kitchens, oak fitted wardrobes and solid oak floors. 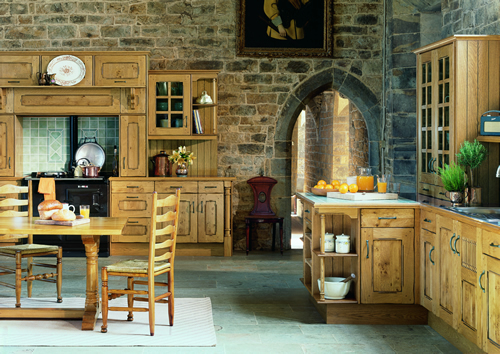 We use only oak that is sourced from several European Countries and only from sustainable forrests. 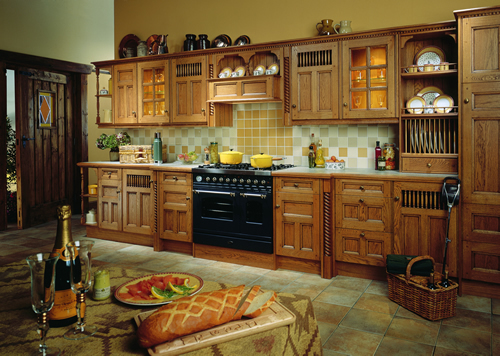 It is very important to preserve the world`s natural resources and important that the customer knows he/she is buying with the confidence that natural forrests are not used up. 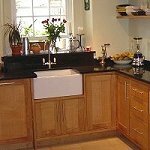 We are certain that the oak as well as pine we use arrives from sustainable forrests where tree planting is continuous and many more trees are planted to replace each tree felled.